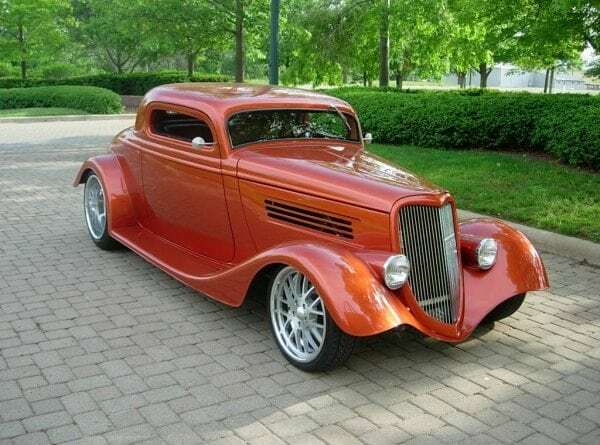 Bonnells Rod Shop in Erie, Pennsylvania, has turned out a number of award-winning restorations and custom rods, one of the latest of which is this stunning 1934 Ford coupe. 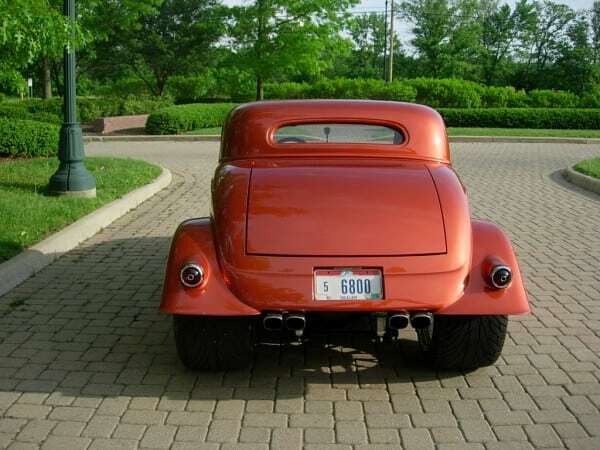 It is based on a fiberglass body that has been chopped and channeled 3 inches each and incorporates shaved and smoothed suicide doors, a custom tail pan and molded head and taillights. 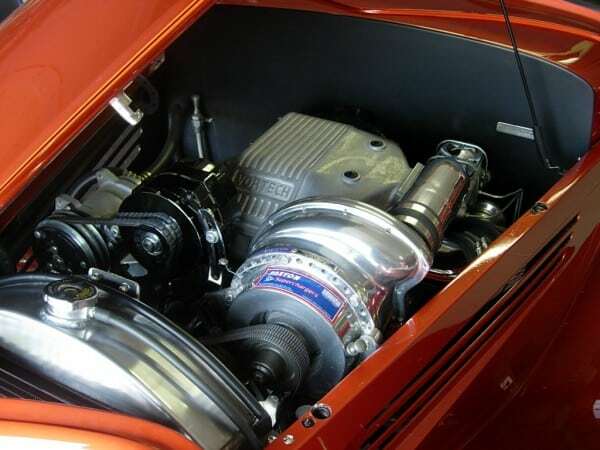 Lowered over Mustang II independent front suspension and a 4-link rear system holding a Fab Nine Ford 9-inch rear end, it hugs super low profile tires on staggered-size deep dish Boze spoked aluminum wheels for that just right nose-down, ground-hugging stance. 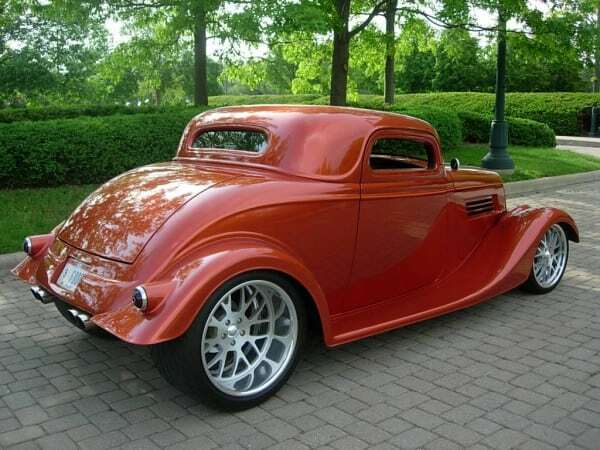 4-wheel disc brakes provide excellent stopping power. 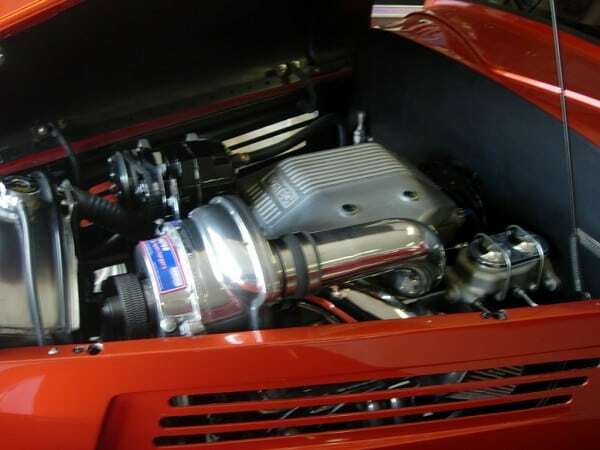 Powering this rod is a Paxton supercharged 383 CI small block Chevy breathing through custom stainless steel exhaust and pounding out 500 horsepower through a heavy duty 700R4 overdrive automatic transmission. 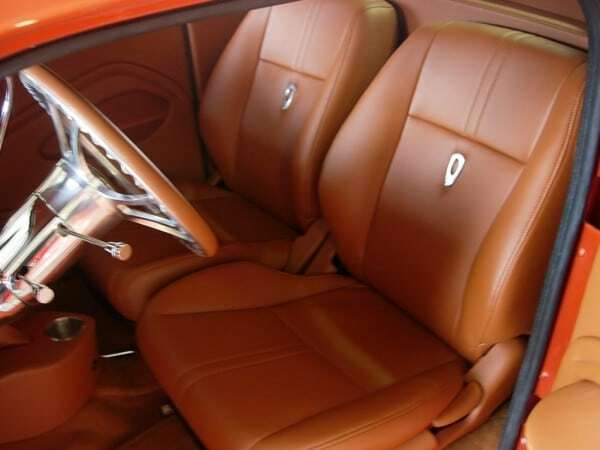 The expertly crafted interior is by Krist Customs, who stitched the superb Saddle ultra-leather upholstery used on the seats, console, door panels and headliner. 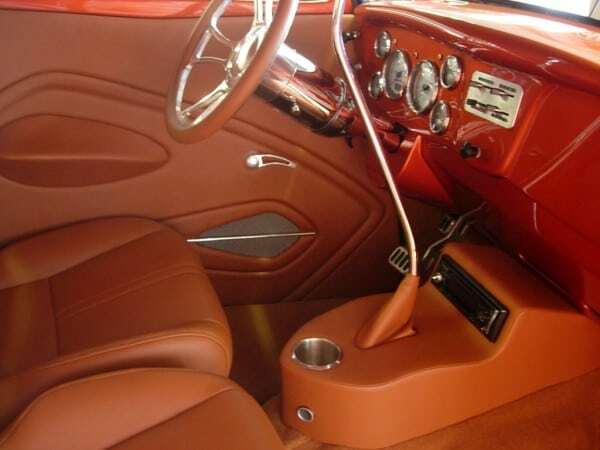 Billet aluminum figures in the Lokar shifter, door handles, padded steering wheel and pedals. 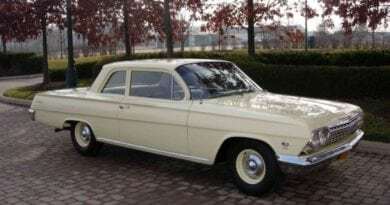 Other interior features include a Flaming River stainless steel tilt column, full gauges, Vintage Air and a console-mounted CD player. No rod is complete without great paint, and Bonnells own special color of Copper Pearl mix looks fantastic on this coupe. 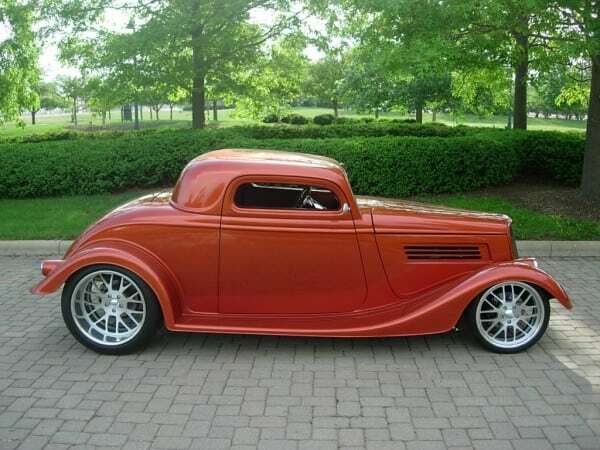 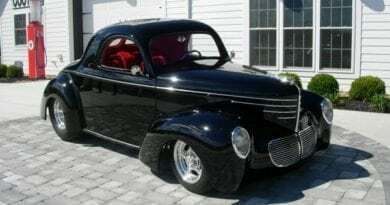 ← 1937 Ford Minotti Coupe…..SOLD!